Tamang is an ethnic community residing north of Kathmandu. Typically associated with Tibetan ancestry but natives of Mountains of Nepal. Their culture and tradition is the most moderate and open culture. This song is symbolizing their lifestyle in the mountain. 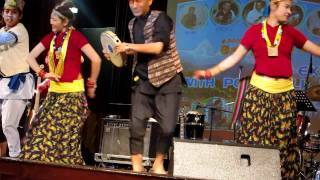 Tamu Sanskritik Pariwar Hong Kong Presents this Tamang Selo song.